The highly awaited India V. England series got underway yesterday with the two countries teeing off in Manchester to play the first T20 of the three-match series. And the more than a month-long tour of England which will see India play all three formats of the game against the hosts couldn’t have kicked off in better style for India. The Indians showed their class as they romped to an 8 wicket victory against an England side that was coming off the back of a triumphant T20 series win against the Australians. The victory will give India the much-needed boost and confidence to go all the way in this tour and has already put them on the front foot going forward into the tour. 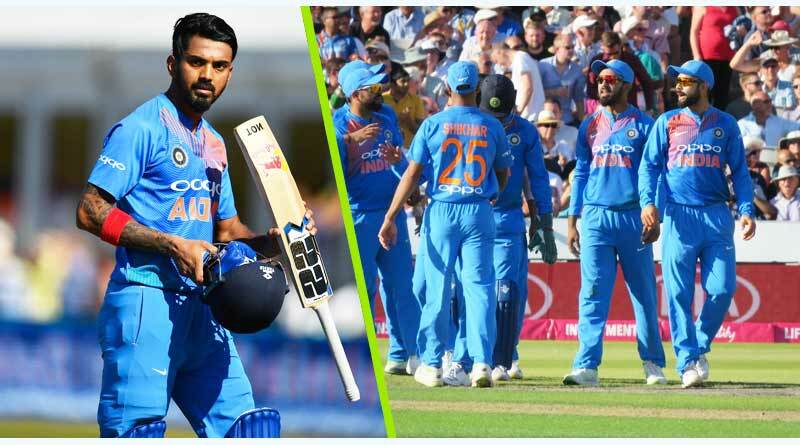 Coming back to India vs England T20 match highlights With not only bragging rights but also a chance to move up and occupy the top spot in the T20 rankings, the first T20 international between Indian and England had a lot riding on it. Both nations knew the immense odds that were at stake as they stepped out on a pleasant day made just for cricket in front of a sea of blue and red. Winning the toss and opting to bat first, England made the most off a pitch that was tailor-made for batsmen. Teeing off right from ball one, England took one India’s bowlers like there was no tomorrow. Jason Roy and Jos Butler continued right from where they had left off against the Aussies, as they turned the Old Trafford Stadium into their personal playground. Showing absolutely no respect to the Indian bowlers, they targeted Bhuvneshwar Kumar especially, hitting the Indian veteran for 45 off his 4 overs. Yadav finally did get the first crucial breakthrough for India, rattling Roy’s middle wicket to send him back for 30 off 20. That wicket changed the entire complexion of the game with India introducing Kuldeep Yadav after that. And a magical spell by the spinner turned the game on its head. The spinner spun a web around England’s batsmen, sending them back under double digits. He picked up 5-24 in the progress and became the first Indian left-arm spinner to achieve the feat in T20 Internationals. Chasing, KL Rahul’s dazzling strokeplay complimented Yadav’s spell beautifully. It was the youngster’s day with Rahul smashing his way to a 54 ball century, one that 10 fours and 5 sixes to take India to a comfortable lead in the series. Stay tuned for more India vs England T20 match highlights.